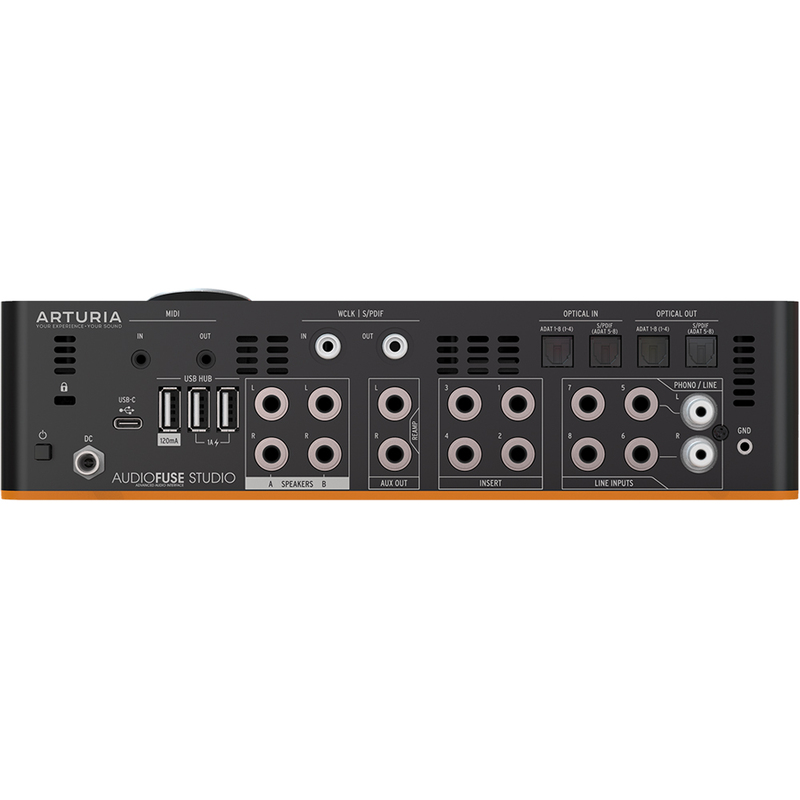 The most versatile desktop interface ever made, AudioFuse Studio features 4 DiscretePRO® preamp inputs, huge connectivity, dedicated speaker A/B switching, twin headphone outputs, talkback, a high-quality Bluetooth receiver, and even a protective cover. 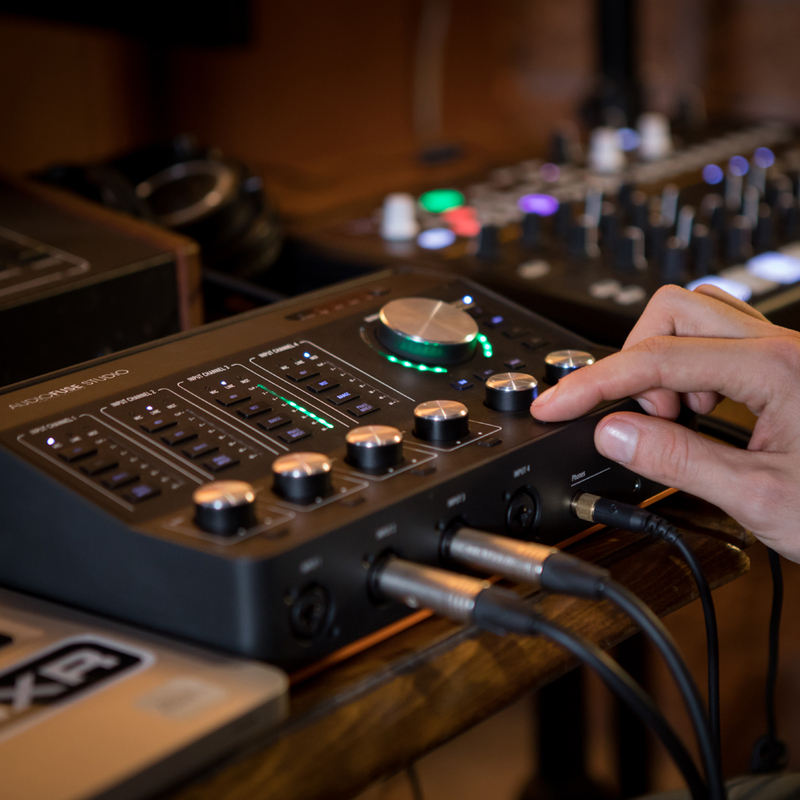 AudioFuse, AudioFuse Studio, and AudioFuse 8Pre will also unlock access to the AudioFuse Creative Suite, an exciting new collection of software titles that will let users add their own unique signature to their music. 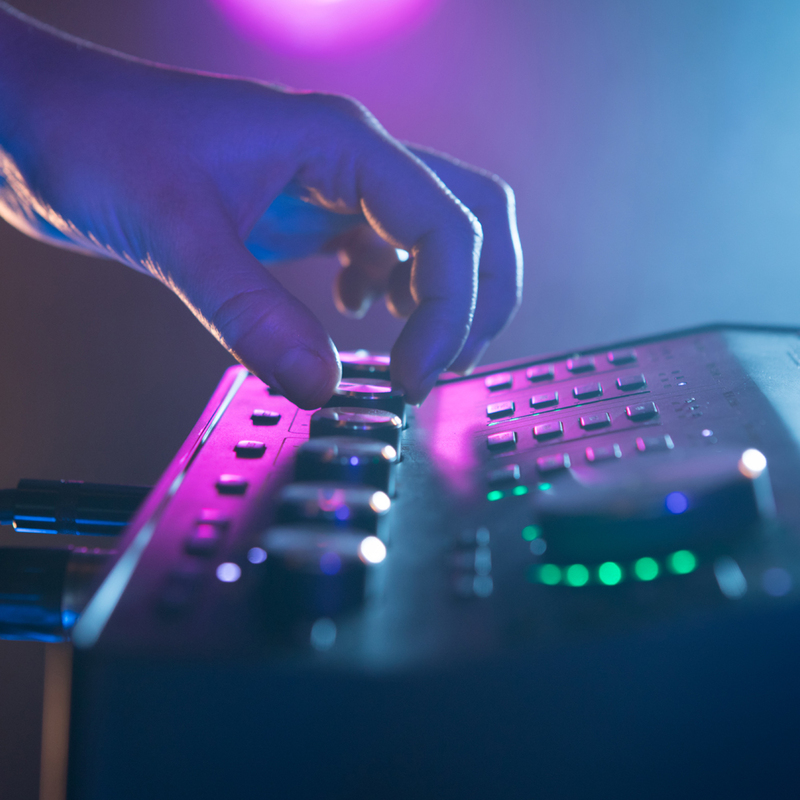 Combining favourites from Arturia’s award-winning “You’ll Actually Use” series with Analog Lab Lite, AudioFuse owners can enjoy legendary signal processing effects and iconic synth sounds. 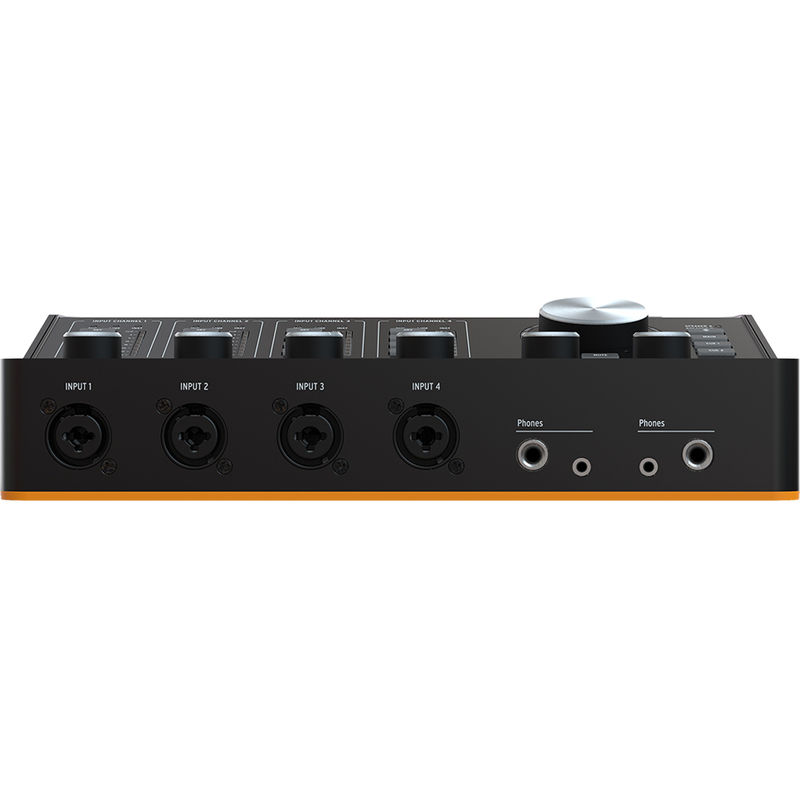 Colour the pristine DiscretePRO inputs with stunning vintage effects! 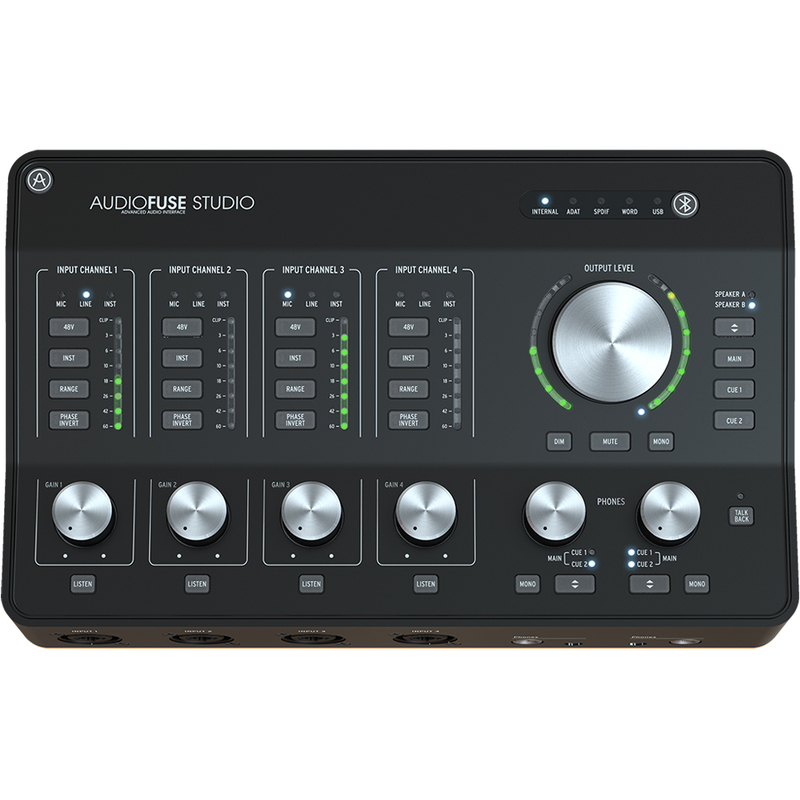 AudioFuse Studio also includes AudioFuse Creative Suite, a superb collection of software effects and instruments that are constantly growing with titles from our “You’ll Actually Use” series and Analog Lab Lite. 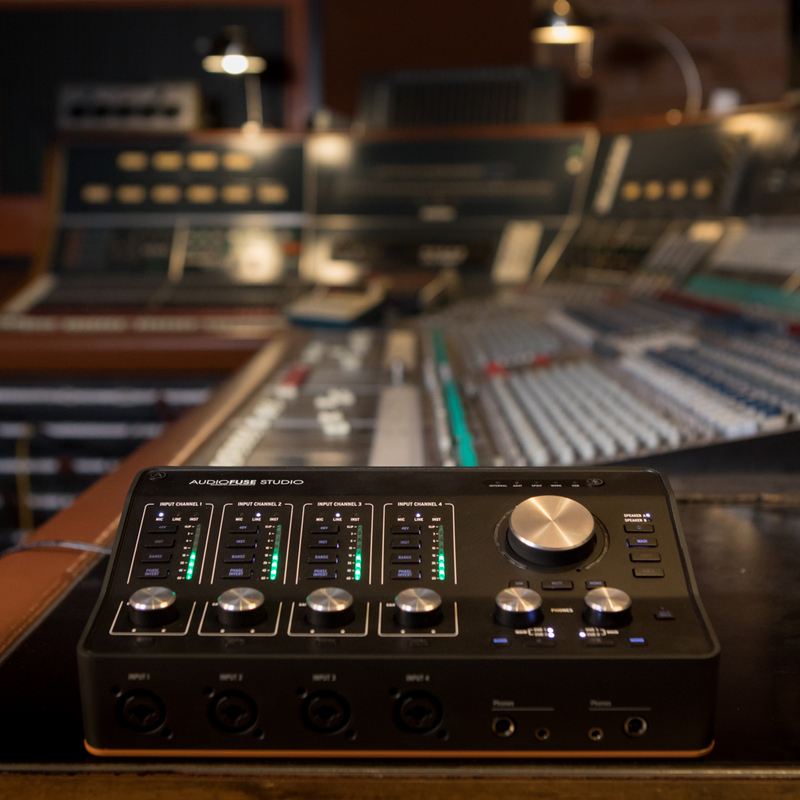 AudioFuse Studio not only gives you everything you need to record top-of-the-line audio, it also gives you legendary effects and synth sounds to enjoy.